My winter coat is finally finished, and it turns out that I have a lot to say about it, so I'm going to break it down into two posts. This one will be the inspiration and sewing deets, and this one is the photos of the finished coat. I totally get it if you just want to look at the photos! 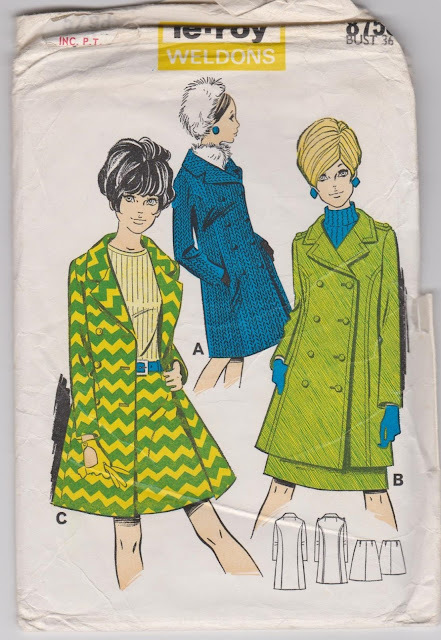 It's no secret that I love 1950s and 60s styles, so it followed that I would want to make a coat in that style too. I had originally planned to make this pattern, which I got on ebay last year. It's Le-Roy Weldon's 8753 in size 14, and as it's from the 1960s, it's a single sized pattern. The measurements for size 14 were right for me, but it turns out that there is a lot of ease on old patterns as well as new ones', because when I made a toile, it was too big! I don't have any pattern grading knowledge, so hunted for another pea coat pattern. 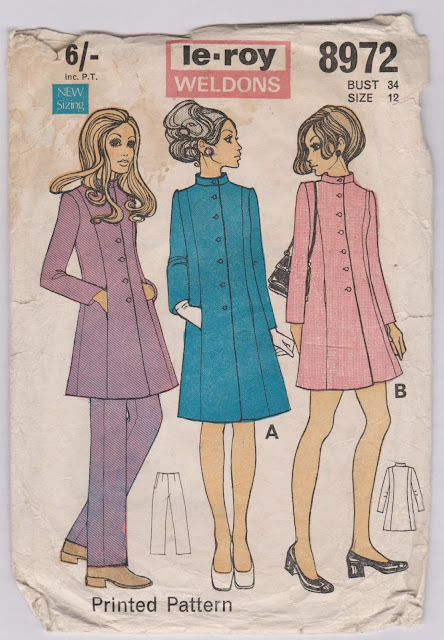 Long story short, the perfect one was from Sew Over It, but it had only been available as a class. So I emailed them to see if I could buy it, and they kindly emailed me back to say that unfortunately they were not planning on releasing it at the minute. I'm holding out hope though, because it also has those lovely Dior darts. Anyway, I stumbled across another Le-Roy Weldon's pattern on ebay for the princely sum of £2.50 . This one is 8972, and is a size 12. One toile later, it fitted perfectly at the shoulders, back and bust. Which leads me onto fitting. The sleeves were a bit long, so I took 1.5cm out above and below the elbow, so the elbow darts would be in the right place. I used the coat length from View B (the pink one on the right), which comes to just above my knees. The coat was too narrow from the fourth button down, so I measured how much extra room I needed, and added it to the seams down to the hem. Another toile, and it was perfect! My favourite part are the sleeves. They are shaped with two darts at the elbow. I sewed them up, put them on the floor to admire them, and couldn't get over their loveliness! You can see how the bottom of the sleeves curves towards the front. This made me very happy! 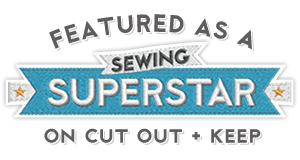 I used the bias strip method to gather the sleeve head, here's a video about it from Gertie's Blog For Better Sewing. Honestly, this works like a charm! Also, I read somewhere (can't remember where), about folding the bias strip back on itself once it's sewn in, then stitching it in place - this helps to fill out the sleeve head. I did it, and love how the sleeve head looks! I tried drafting a back stay from the pattern pieces, as from my tailoring book "Tailoring: The Classic Guide To Sewing The Perfect Jacket". It didn't work too well, so I winged it, and traced around the edge of the back of my coat, and it turned out fine. The back stay fabric is some medium weight cotton from Ikea that I use for toiles. I knew I wanted to make bound buttonholes, and had made them before using the patch method. I wasn't very happy with this method, as I found it tricky to get the frames of the buttonholes to be even. So this time, I used Karen from Did You Make That's ebook on bound buttonholes. This method uses welts to make the buttonhole frames, as in a welt pocket, and was soooo much easier! I'll definately be using this method again. Here's what they look like from the inside - the back of the bound buttonholes are on the right, and the back of the facing is on the left. Now, you may be wondering why there are machined buttonholes on the facing instead of the traditional "windows". Well, I'll tell you! 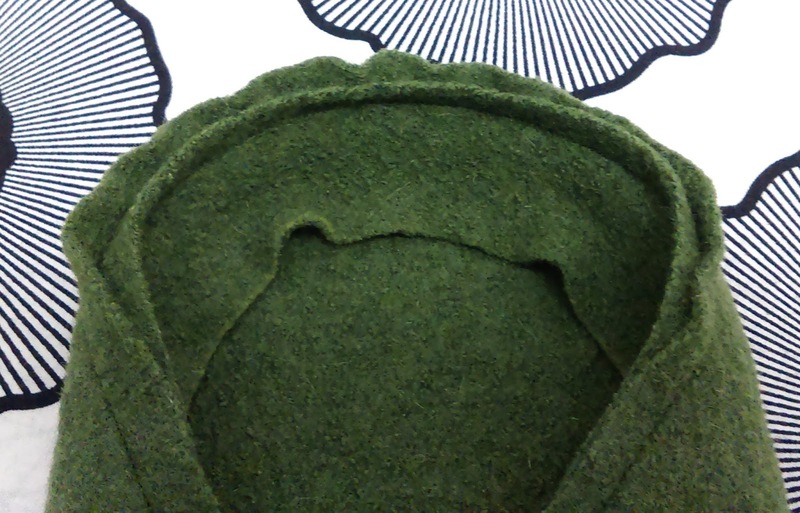 This fabric (which I will talk about in a minute) is quite thick, and the buttonholes are a bit bulky. I didn't want to add more bulk with the "windows", and then remembered the buttonholes on a linen mix coat I have. It has bound buttonholes, with machined buttonholes on the back, which are sewn together. So I copied that, and it worked! Might need to sponge off the yellow chalk! My fabric is some Loden fabric from My Fabrics, which is gorgeous. I got 3 metres, and have enough left for a skirt. The lining is also from My Fabrics, but I can't remember exactly what it is. I had wanted to make fabric covered buttons, but it turnes out this fabric is too thick for that, so I got some brass coloured buttons in The Spinning Wheel in Belfast. The back of the buttons are stabilised with clear buttons. I absolutely love my coat, and am really proud of it! It's definately the best thing I've ever made, and took about a month to make. When I went to clean my machine, once it was finished, the bobbin casing looked like Kermit The Frog's insides!! Click on over to this post to see it in all it's glory! Thank you! I love reading construction details too, there are always some good tips. I'm going to have a look at your coat on your blog now. No wonder you are proud of this make. It is lovely and the sleeve darts - mwah, beautiful! Thank you! I still can't get over how much I love the sleeve darts!! Wow so professional. The sleeve inserting is genius I will definitely try it. Thank you! Honestly, inserting the sleeves that way is so easy it's like some sort of witchcraft! Beautiful! Have you tried using silk organza for the window facings? Works like a treat, no added bulk! Thank you! I think I've used cotton lawn before, but I was afraid the followed back bits of the wool would be too bulky along with the welts of the buttonholes. Also, machining the facing buttonholes was easier!! Ooo double elbow darts! Lovely! 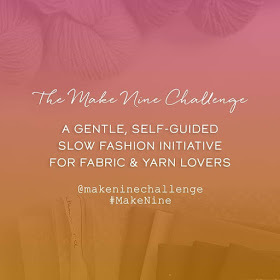 Great tip for the buttonholes in a thicker fabric too, I struggled with mine! Thank you! Aren't the elbow darts amazing! They are my favourite part. I keep shoving my elbows in peoples' faces so they can admire them! And doing the back of the buttonholes like this was so much easier. It was so interesting following your coat journey on Instagram, it looks great! I wonder if you are hoping that the weather stays cold so you can wear it?! Thank you! LOL! It's pretty much always cold in Belfast, so I'll be wearing this for a while!